“My experience working with the team at Martin Recruiting Partners has been exceptional! 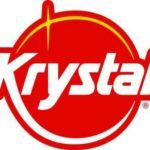 I appreciate the extra time that is taken to fully understand the Krystal culture and present the candidates that are the ideal fit for our various markets. Due to their hard work and dedication, we’ve added some very talented people to our team! “The recruiters at Martin Recruiting Partners are very knowledgeable as well as ethical, and are truly dedicated to understanding their client’s needs. They also seem equally concerned about matching-up the best possible opportunities for their candidates.